Avail of Chill Queen Mary Discount Tickets $14.50 and attend the CHILL at the Queen Mary in Long Beach – back this December 13, 2017 through January 7, 2018. 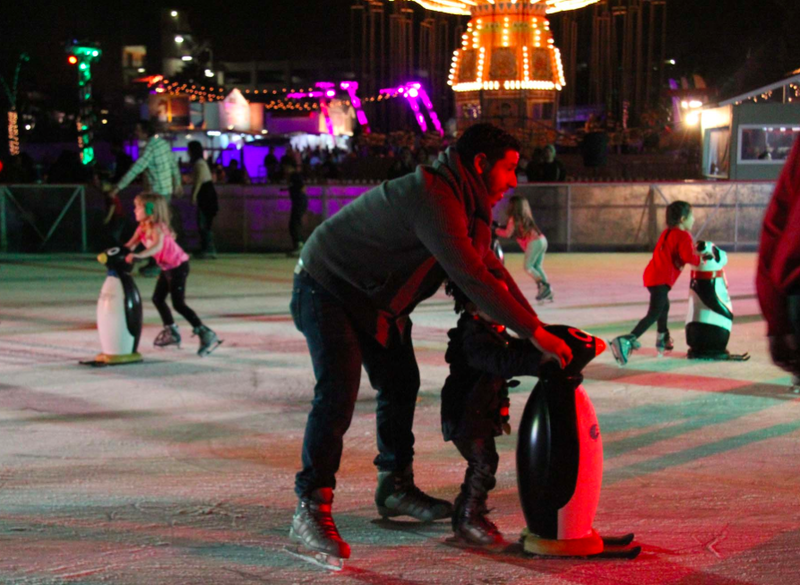 Queen Mary’s CHILL is getting a revamp this year with Ice Adventure Park. Embark on an interantion holiday tradition at CHILL Queen Mary starting December 13, 2017 to Janiary 7, 2018. Taste international foods — from gourmet German pretzels to Swiss chocolate s’mores (roast them yourself!) — while enjoying live music and dance from around the world. 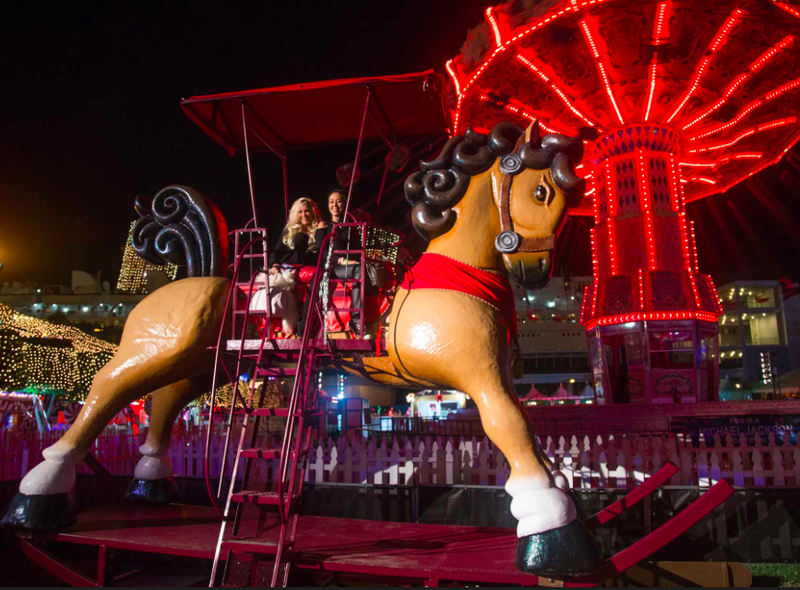 Then get ready for adventure with ice-skating, a two-story ice-tubing slide and a giant rocking horse. 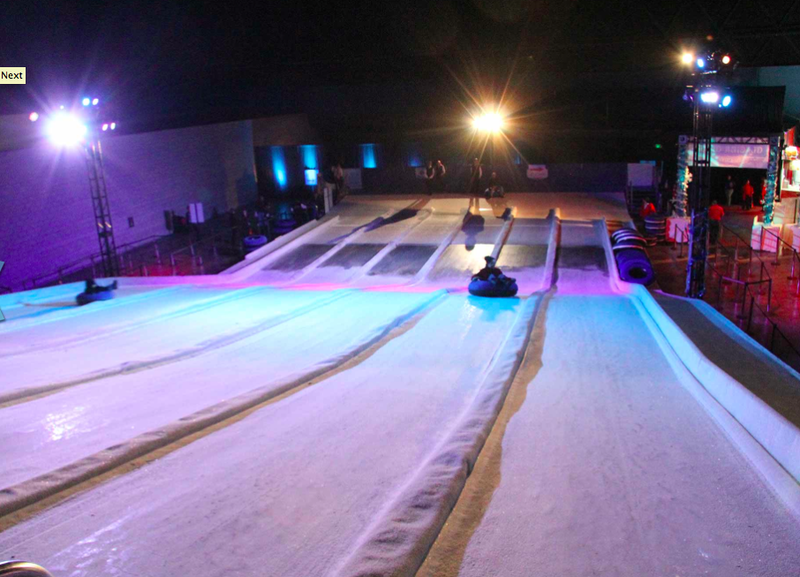 For additional purchases, you can hop on an ice bumper car, swoop down a zip line, race ice-cycles and more. and Sunday nights will end with a bang during a fireworks show. Experience the 38,000-square foot ice park honoring international holiday celebrations with one-of-a-kind entertainment and traditions of Germany, Switzerland, China, Russia, Holland, and the North Pole. Embark in traditional Chinese entertainment in CHILL’s version of the Forbidden City with nightly performances by Shaolin Monks and experience first-hand the beautiful rhythmic movements of the traditional Lion Dance. CHILL’s Kung Fu Forest will offer fireworks every Sunday night. Glide through the finish line of Shanghai Speedway nightly ($5 add on) on CHILL’s big wheel ice bikes. Saunter down Lantern Lane into the Lucky Bamboo and meet CHILL’s Panda Character for warm bear-hugs and unique selfie opportunities. Take in the traditions of Germany with a stroll through CHILL’s Munich Market and raise a stein to the nightly live tunes from the authentic Alpine Band. Meet the ethereal Christkindle, the German gift bringer and bearer of lights, and shop traditional holiday trinkets and souvenirs at the nightly festive market. Cozy up in Switzerland’s Alpine Square by roasting marshmallows and building gooey s’mores at the toasty fire pit. Dine in the Alpine Lodge, open nightly, serving traditional Swiss bites overlooking the Matterhorn Mountain tubing slide and meet the gift bearer of the Alps, Sinterklaas, for photos and celebrations of the Twelfth Night. Show off your best grooves as the DJ spins today’s top hits at the Russian Disco in CHILL’s Blizzard Boulevard. Experience the magic of the Northern Lights Show offered nightly at the Aurora Borealis Light show and meet the gift bringers of Russia, Father Frost and The Princess. Holland’s Windmill Way will offer nightly performances on the Illumination stage with hourly performances by Rockettes-style dancers and a nightly tree lighting ceremony. Meet the magical Father Time, Holland’s gift bearer who will share interesting facts on stargazing and how the Dutch discovered the telescope. Skate over to America’s North Pole for a visit and photo with Santa Claus and Mrs. Claus. Visit the Candy Bar to grab sweet treats for the little ones, and liquid candy sips for the adults. Tempt your taste buds with beverages and bites from around the globe including Germany’s Twisted Pretzel and Tasting Tavern and the Brat Haus. Pay tribute to Swiss delicacies with a visit to the Zurich Deli, the Fondue Pot, and the Alpine Lodge’s restaurant: Chateau Bar. Sip on traditional teas in China’s Zen Teahouse and the Hot Pot. Warm up in the Russian Pierogi Paradise or the Stroganoff and Stew Pot. Curb your sweet tooth with gourmet donuts, make-your-own Gingerbread house or visit the Fire Pit to make holiday s‘mores. CHILL pricing starts at $29.00 for adults (ages 9+) and $19.00 for kids. VIP Ultimate Expedition tickets are also available starting at $79.00 for adults (ages 9+) and $69.00 for kids. CHILL will run Dec. 13, 2017 – Jan. 7, 2018, excluding Dec. 31, 2017. Avail: Chill Queen Mary Goldstar Discount Tickets $14.40.